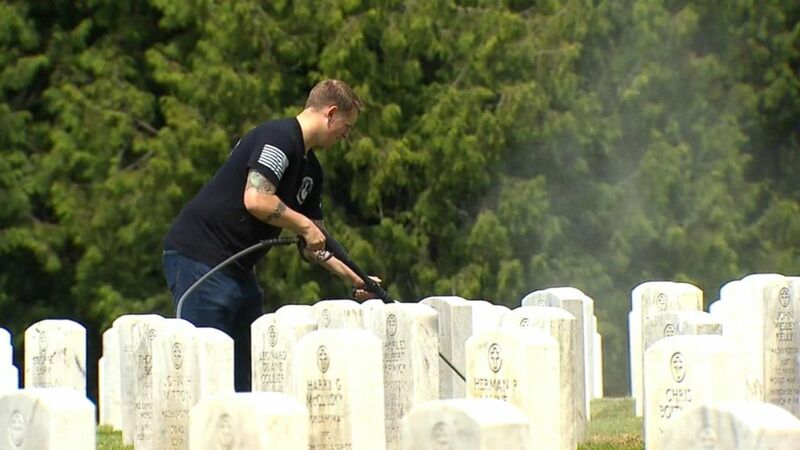 For weeks now, Jordan Houghton and others from the American Legion Post 206 in Seattle have spent their free time cleaning the headstones of veterans at the Evergreen Washelli Cemetery. “A lot of people think it’s a long weekend. In reality, it’s about the sacrifices that families have made and those people from the families,” said Houghton, also a veteran. Jordan Houghton, also a veteran, said that while he and his group had cleaned about a couple thousand headstones, a few thousand still remained. Houghton, who’s worked hours trying to scrub the decades’ worth of dirt and grime from the headstones, said every person buried in the cemetery “has a story” and he’s picked up little pieces of each veteran’s life. “Well, there’s a lot of stuff that’s lost in history. 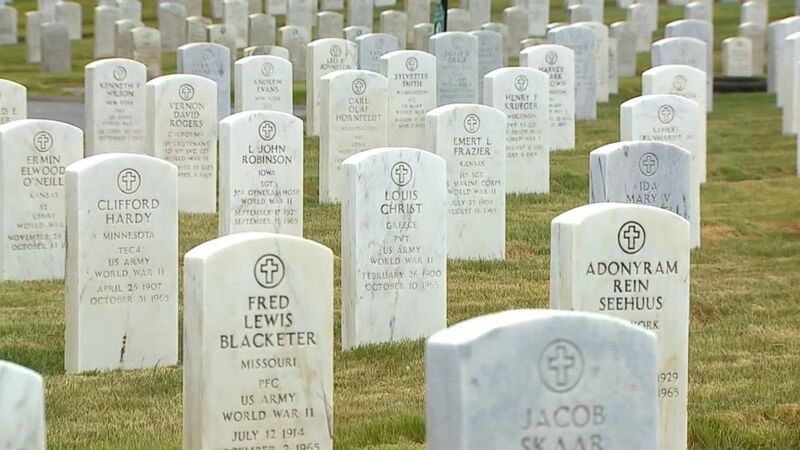 Some of these graves tell amazing stories,” he told ABC News affiliate KOMO-TV recently. He said he’d found an Irish doctor who’d served as a commander as well as a World War I nurse corps lieutenant, who, he said, was likely one of the first females ever to serve in the Army. During his visits, he’s also gotten a chance to meet with military families. He said that while he and others have cleaned about a couple thousand headstones, a few thousand still remain. The American Legion Post 206 plans to keep at the cleaning effort until every last one is no longer defiled. “You do get a little bit of an intimate history of this person, where they were born, how they lived, what they earned while they were in the military. It’s really interesting,” Houghton said.